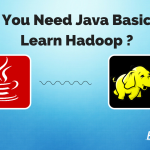 hadoop online training, hadoop training, hadoop tutorial, hadoop course, hadoop free demo, hadoopAt BigClasseswe are going to start a new batch on Apache Hadoop online training for our national and international learners. 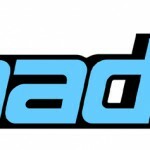 Hadoop is an open-source software framework, which is used for storage and large-scale handling of data sets on collections of commodity hardware. 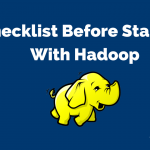 Apache Hadoop is used by global community users.Hadoop is planned to scale up from a lone server to thousands of machines, and to a very great degree of fault tolerance. 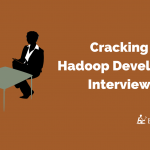 Hadoop has two main sub-components –MapReduce and HDFS. 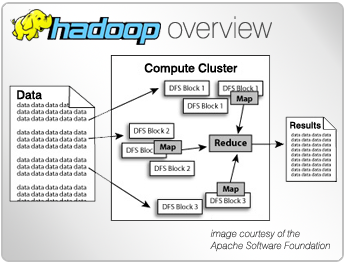 MapReduce is the framework which recognizes and allocates work to the nodes in a particular cluster and HDFS is a file system which is responsible to span all these nodes in a cluster for the purpose data storage. HDFS links the file system and many local nodes to make them into a big file system. It is assuming that nodes will fail and normally it achieves reliability by duplicating data across multiple nodes. Except this MapReduce and HDFS, our Hadoop training content will include – The Hadoop Ecosystem, Introduction to MapReduce Algorithms, Hadoop MapReduce API, Writing MapReduce Programs, Hadoop Deployment, Augmenting Existing Systems with Hadoop, Data Processing Pipeline, Importing Existing Databases with Sqoop, Introduction and working with Pig, Concepts of Hive, Debugging MapReduce programs and advanced Hadoop API. 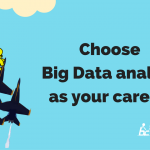 Our Hadoop online training will cover all of the above-mentioned topics and explained elaborately by our talented trainers. 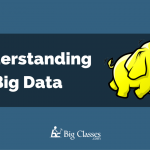 BigClasses is one of the best online training organizations offer Hadoop training. We have qualified and experienced faculties who are responsible for taking the online sessions. We provide study materials and 24 hours support to our national and international learners as well. If you are interested in Hadoop online training, contact us for the detailed course and the free demo classes.